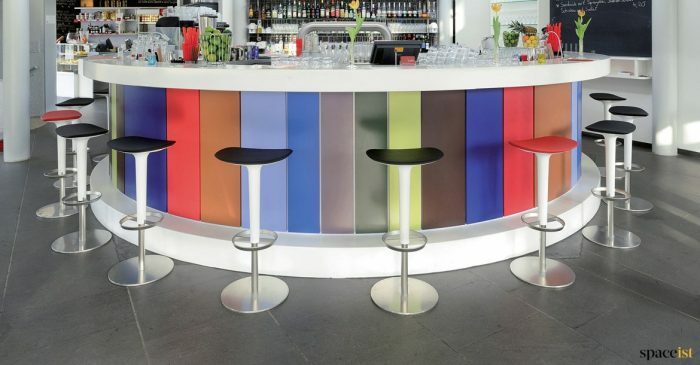 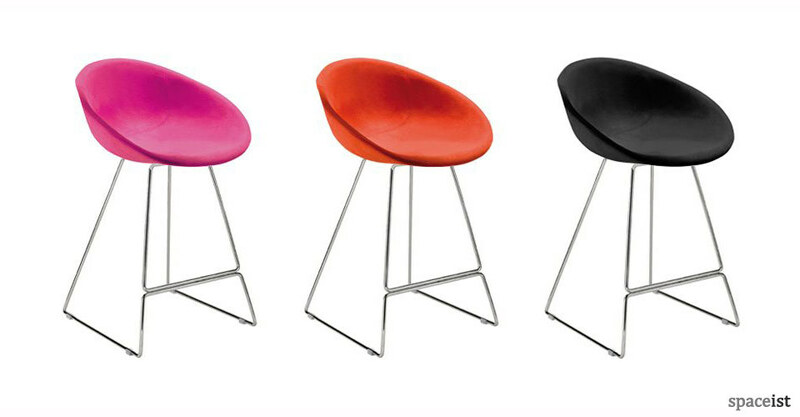 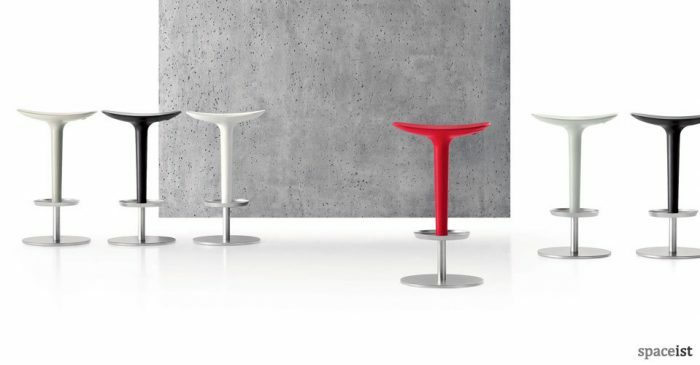 Categories: Bar stools, Cafe furniture, Cafe furniture, College bar stools, Staff bar stools, Upholstered bar stools. 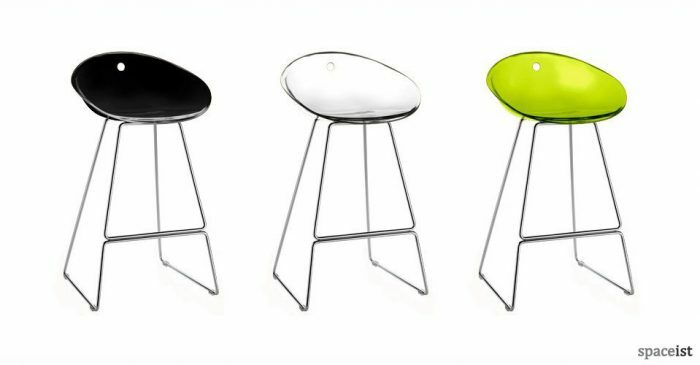 Curved poly-carbonate fabric covered seat. 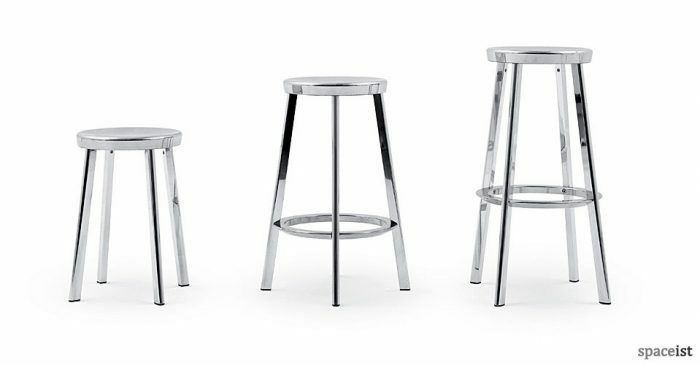 Steel sled base in chrome, white or black. 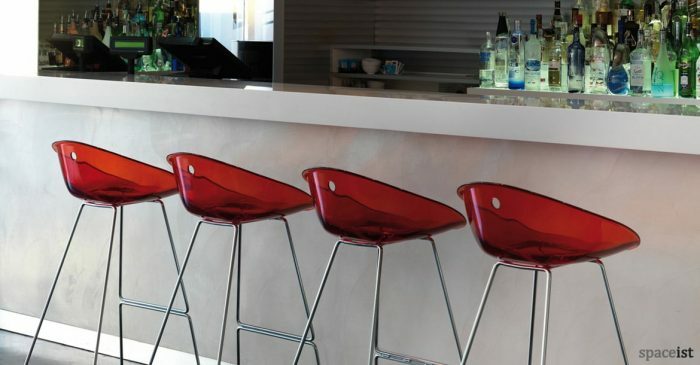 Matching cafe chairs.